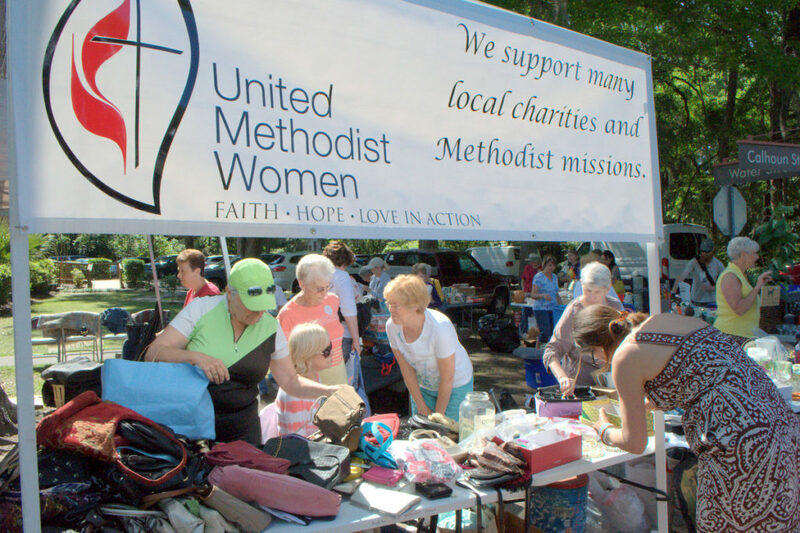 The Bluffton United Methodist Women will have a “White Elephant” sale at the Bluffton Village Festival on May 12, 2018. With the proceeds of the sale going to support our local missions, we are seeking donations of jewelry, hats, purses, household items, books, and other small items (no clothing). Items can be dropped off at the church after May 1st. Baked goods and crafts will also be on sale. Come on down to the end of Calhoun Street during the Village Festival to see what treasures you might want to buy.